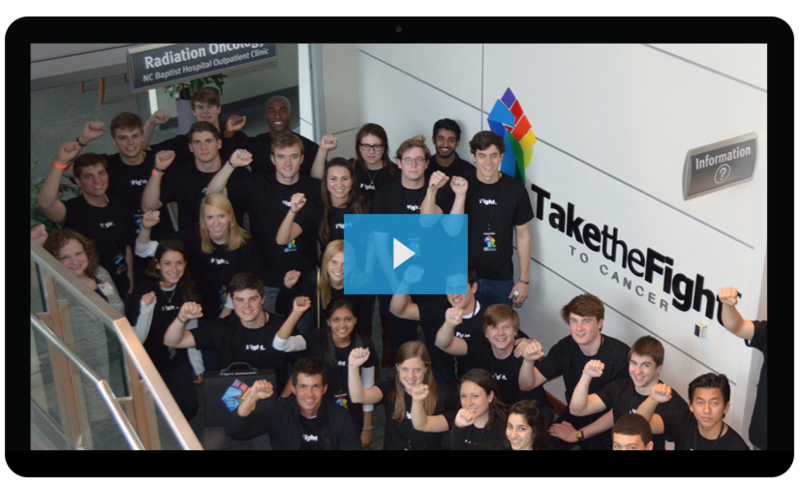 We train top students during any year of University (freshman to seniors are eligible) to serve as strategists working with cancer patients to help them fight more efficiently. We also accept graduating students to participate in a 1 or 2 year fellowship program. After experiencing how challenging life can be for a patient battling a serious disease, Fellows work full-time to execute innovative solutions to problems they encountered while serving as a strategist. The goal of the fellowship is to affect systemic and lasting change. We accept strategist applications one semester prior to the desired start time. For example, if you are interested in being a strategist in the fall, you should apply during the prior spring semester. Students apply individually or in teams of two from the same University. A science/healthcare background or interest is not required. We encourage all leaders and seekers of impact to apply, regardless of current area of study. At TaketheFight we value diverse backgrounds, experiences and skill-sets, as that inevitably results in the most progressive innovations and solutions. From a perspective of time-commitment, TaketheFight is intensive and demanding. We are fighting for people’s lives. Our Strategists are some of the most organized, high- functioning individuals on the planet. And time management is a key component of that. Students must be willing and able to dedicate one 4-hour shift per week as a strategist, plus one hour every other week for Division meetings. And applicants should be willing–and excited–to commit to full-time service as a Fellow. 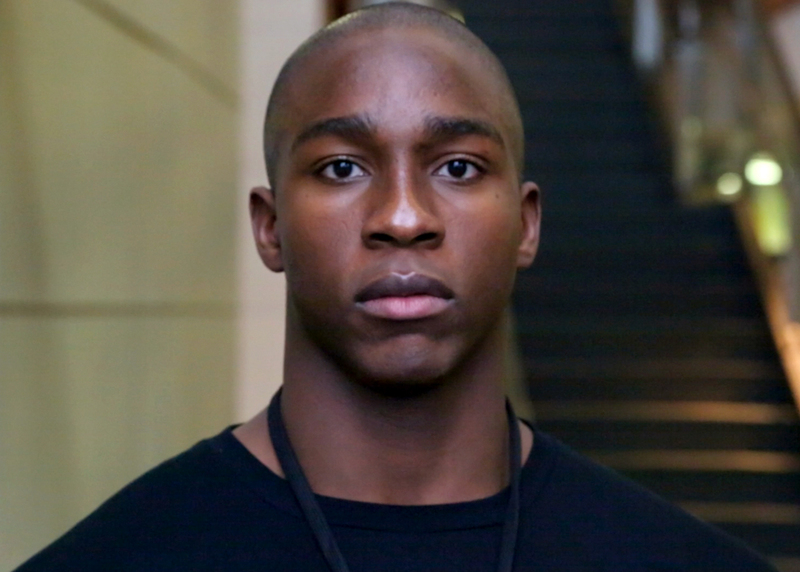 Jason was a senior, pre-med, D1 football player at a top tier university when he joined TTF. Jason fought alongside a brain cancer patient and her family, attending doctors’ appointments and radiation treatments when the other members of the family needed to be at work. “We serve as Strategists. We’re there to make them above average cancer patients. Jason is now a Fulbright Scholar at Duke Medical School. Students apply individually or in teams of two from the same university. Applications are rolling. Please apply the semester prior to the one in which you wish to serve. Follow us at Facebook.com/TaketheFight to keep in the loop. The Strategist experience begins with an intense full weekend of training. At training you’ll learn advanced cancer fighting methodologies, founded on our Core Competencies of Patient Health, as well as key resources and tools that will help you to give your patients an extra edge against cancer. After training,​ you serve as a lay patient navigator at a hospital near your respective university. As a strategist, you attend doctors’ appointments with patients, you accompany them to cancer treatments, and you experience firsthand just how challenging it can be to navigate through a cancer diagnosis. As a Strategist you become an integral part of the patient’s team. You’re an “adopted family member” of sorts. You navigate, you research, and you strategize to help your patients receive the best care possible. Strategists identify and isolate specific barriers to better care. You will witness the current challenges to better care posed by either the Patient, the Provider or the Health System. As a Fellow, you work with TTF Nationals to develop your Executive Proposal that outlines the problem you wish to address and your potential solution to execute. Fellows kick off your fulltime committment with Fight Week, your most intensive week yet. Each of you has served on the front lines of the battle against cancer as a strategist, and it’s time to put that experience to use.​ A​t Fight Week you present your Plan For Systemic Change (PFSC) to your fellow Strategists, and together you select the best ideas, and then launch all your efforts towards planning and executing a focused and targeted one year project with a team of fellow TTF Strategists. Throughout your fellowship, you execute your proposed solution within a structured (but incredibly fun and impact driven) setting. You have full support of the entire Organization, including all Strategists and T​TF Nationals. There’s no sitting around; this is your year to change the world. Exhibit Impact: the culmination of your fellowship. ​During this event, you and your team showcase your project, your successes, your set­backs, and your next steps to the public. ​Impact will be made and lessons retained. At this event, we celebrate the journey and continue the fight. 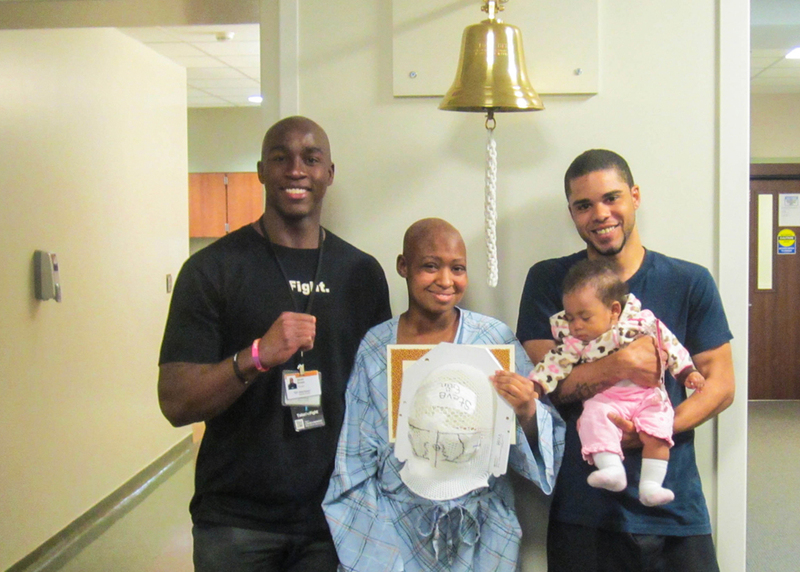 The emotional bond I formed with my patient through TaketheFight was nothing short of life changing. At its core healthcare is about human connection. There is no medicine or procedure that can replace that and that’s what TaketheFight is all about. You’re a facilitator, you’re a helper, you’re a resource for them…When you’re looking at your patient, if their life is better with you, than without you, then you have been successful. You’re not going to be able to fix everything, but you can certainly make it better. TaketheFight gave me that day-to-day fight I needed to get through. You accept that you have cancer but you’re not going to let it get you. I probably wouldn’t have met [my patient and family] otherwise, and they have really changed my life, changed my outlook on it, and I am so, so grateful. I feel very blessed for the opportunity to get to know them. As we were facing decisions regarding Caroline’s surgery and treatment, TaketheFight brought a warm, understanding friendship to the scene. We were able to get to know Laura and form a friendship that only time spent with us could have made possible. My patient was the most resilient person I’ve ever met. Helping him use that resiliency to fight cancer more efficiently was an extremely rewarding experience. Training will take place either at your university, or at the university closest to you with an existing Take the Fight chapter. Do I have to pay for training? No way, José. We’ve got you covered. We’ll even cover two­ meals per day. How’s that? I can’t come to training, can I still apply? Sorry, Charlie. Each Strategist must ​be able to attend­­–on­-site­­–the entire event. If I want to apply as a team of two, who should I choose as my partner? Choose someone with whom you know you can work well, someone you trust to be reliable and committed, someone you know would help you out if you get in a jam or have an emotionally challenging day. It’s a bonus if you’ve worked well together on previous projects, but not required. What are the qualities you look for in Students? Our ideal students are up for a challenge. Not only are they up for it, they’re searching for it. They want impact in the world, and they’re willing to “fight” for it. They put the Mission above themselves. They aren’t afraid of the unknown. Every experience in TTF is unique, mind you. They understand they can’t fix everything, but they’re ambitious and rebellious enough to believe they can affect MAJOR change. If applying as a team of two, student teams should be supportive of each other individually, making it much stronger than the sum of their individual selves. Ideally, each team will have experience working together in a successful experience previously. Without question, each Cancer Strategist will experience challenges during their year and we need the teams to be able to ask for help, guidance, and support. Competitiveness between team members is counter-productive in TaketheFight. We all have the same goal­­ to change the lives of patients and to change healthcare. A strong team will recognize this common goal. I’m not Pre-­Med, can I still apply? Of course! Some of our best Strategists have been humanities or even finance majors. You don’t need a science/medical background to apply. Heck, Clara Barton was a teacher and clerk at a patent office before she started the American Red Cross. You just need dedication, passion, a willingness to learn, and a belief in something bigger than yourself. If that’s you, why are you still reading this? How many hours should I expect to dedicate to my patient per week? You should expect to dedicate a 4-hour block of time (“shift”) each week to your patients. You can expect it will include being at the hospital, utilizing the tools TTF provides you to help you train your patients to fight more efficiently (e.g. Patient History, Pre­-Visit Forms, etc), or communicating with your patient and your patient’s caregivers. What happens if I drop out mid­-year or I’m terminated for misconduct? You will be required to pay­-back the money we invested in training you and supplying your gear. Expect to pay-­back about $200. Are you affiliated with any universities or cancer centers? TaketheFight is an independent 501(c)(3) nonprofit.